Even this year we will be present to the International Sport Business Show ISPO 2018, where we will show our most important products. Climbing Technology new catalogue PROFESSIONAL 2018 is finally online with all our products for work at height, rope access and rescue. Climbing Technology will be present at the FISAT-Technikseminar 2017 in Essen (Germany). We would be happy to have the opportunity to welcome you at our Stand! We will be present to the A+A 2017 show that will take place in Düsseldorf (Germany) from the 17th to the 20th of October 2017. We will be present to the OUTDOOR 2017 show that will take place in Friedrichshafen (Germany) from the 18th to the 21st of June 2017. Climbing Technology new catalogue PROFESSIONAL 2017 is finally online with all our products for work at height, rope access and rescue. Even this year we will be present to the International Sport Business Show ISPO 2017, where we will show our most important products. Even this year, we will attend the Emergency Exhibition REAS, where we will present our most important and innovative products for the Rescue Field. During the seventh edition of Finale For Nepal, scheduled from the 23rd to the 25th September, Climbing Technology will be at Finalborgo with a number of interesting initiatives to support the association that, with a lot of passion, raises funds for solidarity projects in Nepal. Climbing Technology have always relied on two partners so that they always remain close to their clients in this territory and these partners have the maximum levels of seriousness and competence. This partnership of competence is renewed every year in occasion with the Rock Master: come and find us at Arco from the 26th to the 28th of August 2016. Ensure maximum safety and prevent falls at work at height is the main quality of the EASY MOVE, but that is not the only use it has! 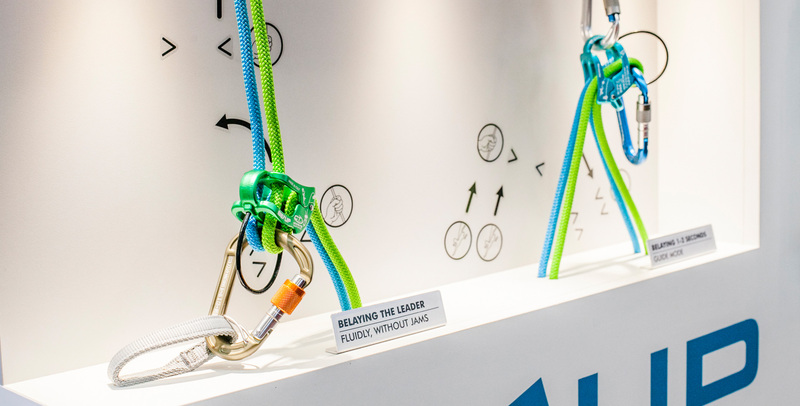 Climbing Technology and Rock Spot are growing together in the name of passion for climbing. Today, the 20th of June 2015, we are celebrating the second anniversary of the Rock Spot climbing gym in Pero, Lombardy, along with the collaboration with Climbing Technology.